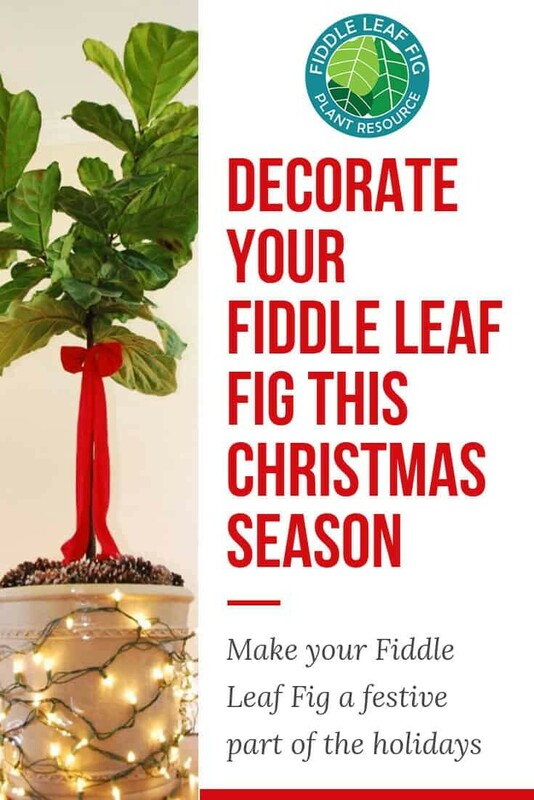 What if, instead of having a traditional Christmas Tree, you decorate your fiddle leaf fig tree for Christmas? 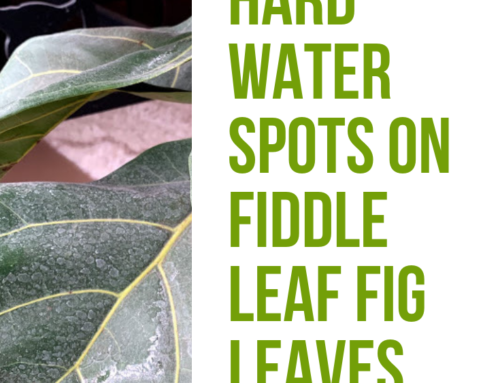 Chances are good that if you appreciate the aesthetic of a stylish Fiddle Leaf Fig tree, then you also enjoy other home decor trends. During Christmas, you can combine them! I meld my love of the ficus lyrata with my affinity for seasonal decorations, and never is that more apparent than the holiday season. The best part? 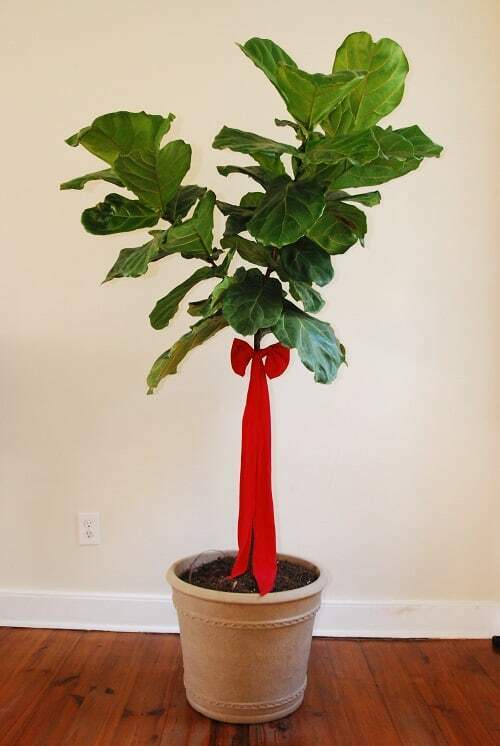 Dressing up my fiddle leaf friends for Christmas is the easiest, most natural part of my winter decorating. 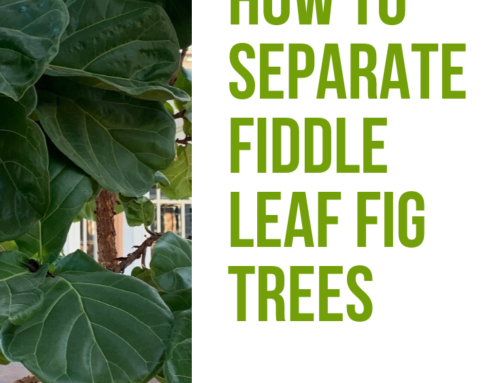 Here are 9 ways I effortlessly spruce up my fiddle leaf fig trees for Christmas and the New Year. 1. The obvious: a big bow. Beautiful red bows are a timeless Christmas icon. 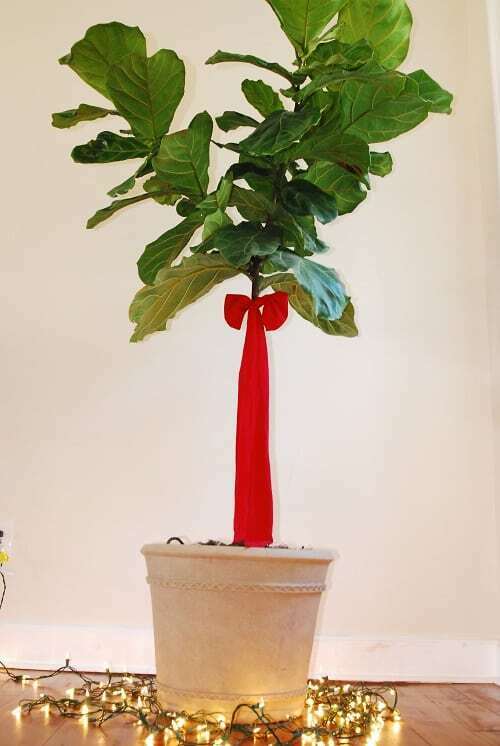 The quickest, most striking way to include your fiddle leaf fig plant in your home’s holiday look is to adorn it with a Christmas bow. My only word of warning here is to avoid bows of polyester or plastic material. I always opt for a thick, knit, cloth for a touchable, authentic look. 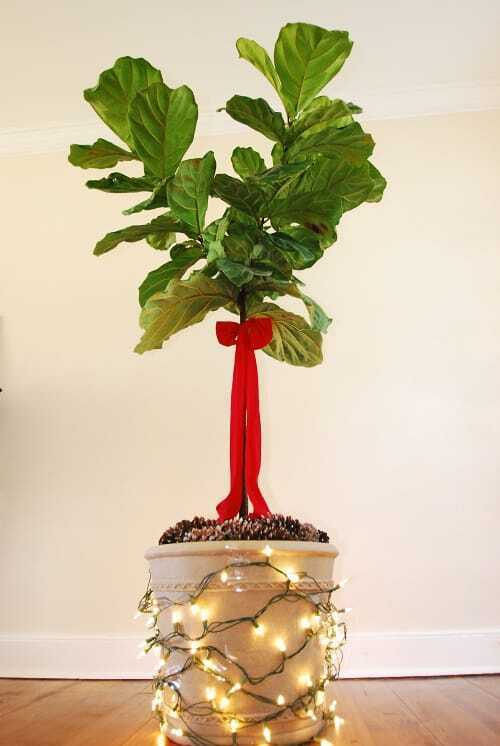 Another instant way to decorate a fiddle leaf fig tree this season is to bring out the holiday lights! Now, exactly what to do with them? 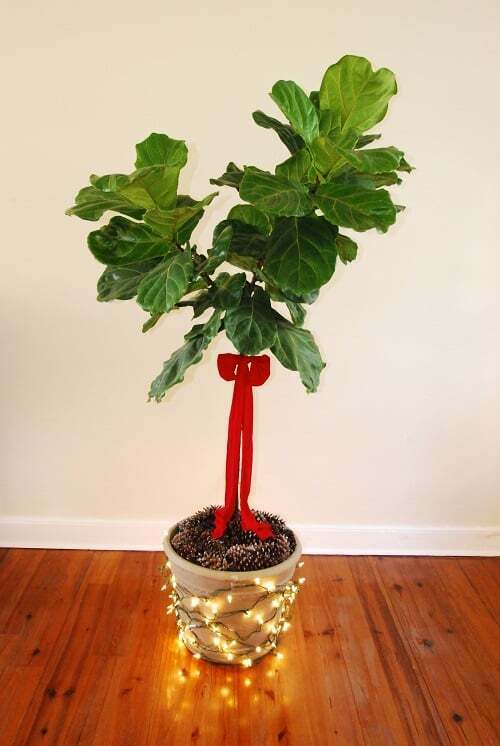 I have tried draping string lights around my fiddle leaf fig plants and found the look unappealing. I also prefer not to touch my plants’ leaves unless I absolutely have to, to avoid risking unnecessary trauma. That leaves us with the trunk, the planter pot, and the floor. I have used string lights to decorate all three! Ditch decorative peat moss. It’s winter! Go for something that more clearly says “cold weather.” Your back yard may have plenty of wintry accessories to bring in. I enlist the assistance of my 3 helpful young aides to collect acorns, evergreen needles, black walnuts, colorful leaves, and pine cones. Bring them in, shake them off, and if you’ve got a few minutes, brush their tips with white craft paint for a frosty look. 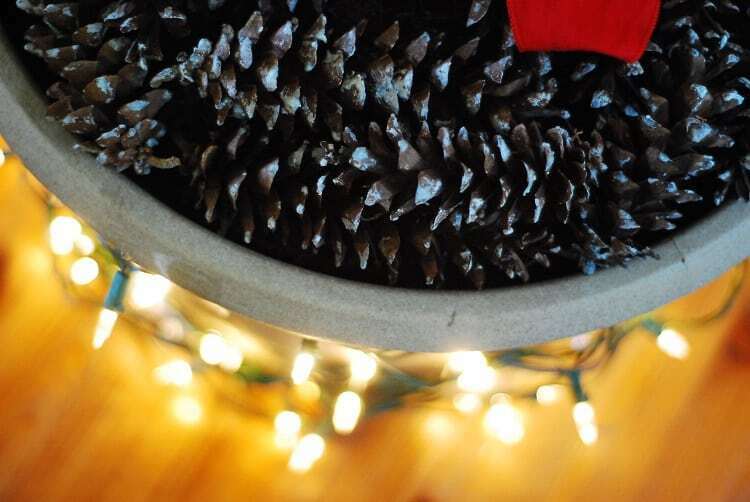 These can serve as a festive soil covering for Christmas and all winter long. We’re just getting started. The above inspiration could spark many more ideas. Here are just a few. 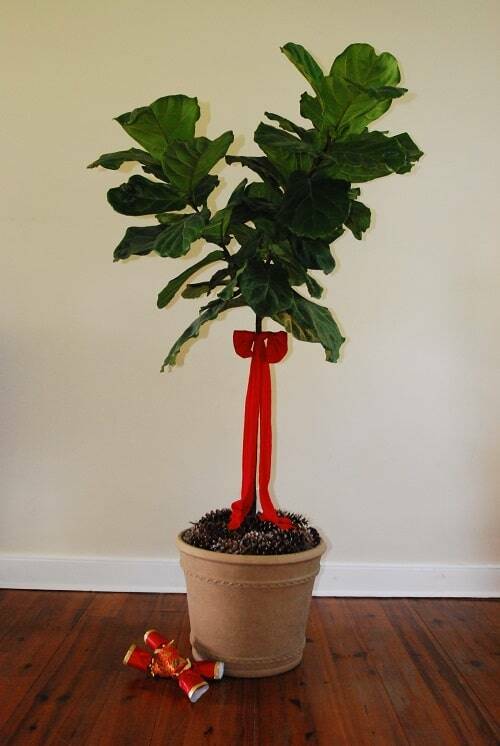 Instead of a bow, tie a holiday-patterned scarf around your fiddle leaf fig tree’s “neck.” If your plant is too small or its trunk too weak, adorn the planter for a similar effect. Darling! Gently hang tiny candy canes in the nook at the base of each leaf. 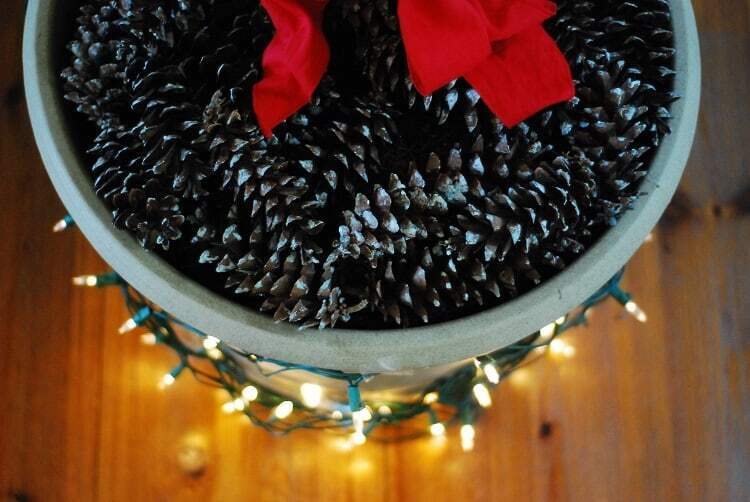 Instead of string lights around the pot, consider using a thick, drapey evergreen garland. 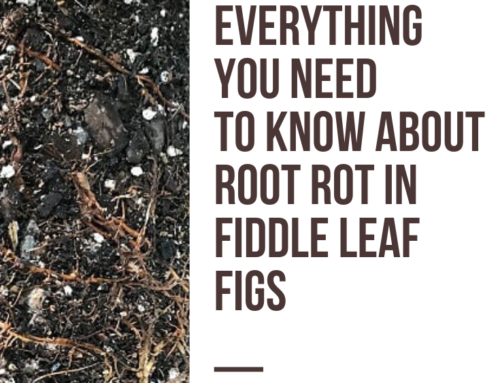 This will especially compliment your pinecone- or acorn-soil covering. Hang a series of small stockings around the lip of your planter pot. String up popcorn to drape around and between each leaf. Use fishing line so the “wire” isn’t visible. Top it with a tree topper. Locate your tallest branch, and beautify it with a Bethlehem star or herald angel. If you can’t find one light enough not to burden the branch, consider a fun Santa hat, instead. 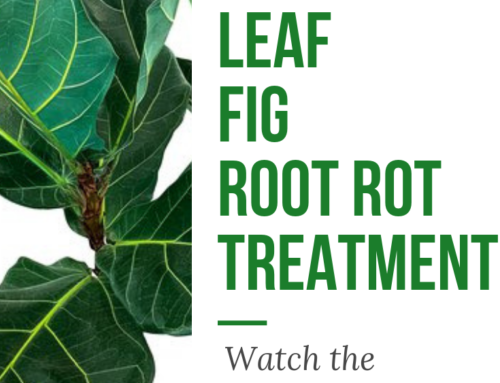 How do you decorate your fiddle leaf fig tree for Christmas? 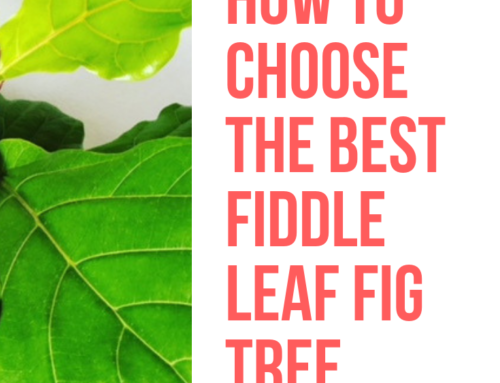 Post a picture in the comments below or in our free online Fiddle Leaf Fig Plant Resource community. And happy holidays!